PORTLAND, Ore. – Regence Health Insurance Services today announced it is launching Regence Marketplace, a new private exchange health insurance option for select businesses in Idaho, Oregon, Utah and Washington. Regence Marketplace offers employers a number of advantages, including the ability to control health insurance costs, predictably plan for future benefit needs, and cater to a demographically diverse workforce. Through Regence’s private exchange, employees have the freedom to choose coverage that best fits their unique needs and budget, enabling more ownership over their health care decisions. This new model provides mid-and large-sized businesses with a customizable private exchange containing multiple Regence coverage options for safe, affordable and effective quality care. Similar to a 401(k) retirement contribution, Regence Marketplace supports defined contribution which allows employers to contribute a set amount to their employees’ accounts. Employees can then shop for Regence health insurance on the online Regence Marketplace. While businesses have long been able to choose from a variety of Regence products through the popular Employee Choice program, Regence Marketplace offers the next evolution of employee engagement and flexibility. The online platform provides employers with consumer support tools in one convenient interactive experience, and allows employees to efficiently shop, enroll and manage benefits information. Employers are increasingly turning to private exchange solutions incorporating defined contribution. Consultant Bain & Co. estimates that as many as 80 million people will receive their health insurance through private exchanges by 2018. 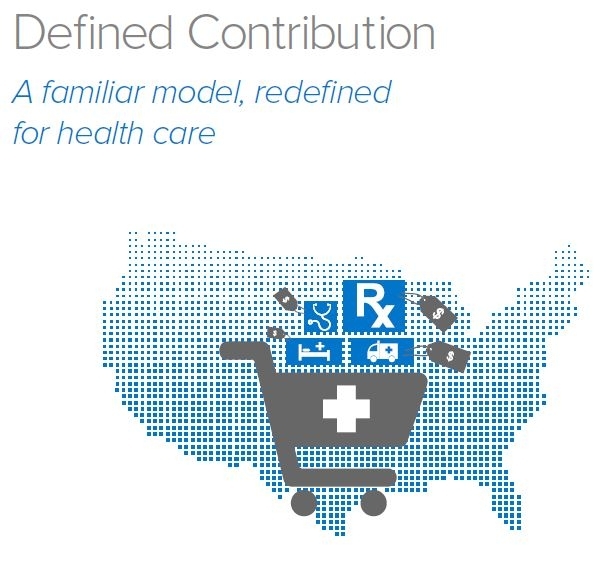 Regence recently released a white paper, “Defined Contribution: A familiar model, redefined for health care” (PDF) that explores this emerging trend and its attraction for employers and employees. Regence operates as nonprofit independent licensee of the Blue Cross and Blue Shield Association across its four-state Pacific Northwest and Intermountain region. The Regence affiliated companies serve more than two million members through Regence BlueShield of Idaho, Regence BlueCross BlueShield of Oregon, Regence BlueCross BlueShield of Utah and Regence BlueShield (selected counties in Washington). Each health plan is a nonprofit independent licensee of the Blue Cross and Blue Shield Association. Regence is committed to improving the health of its members and communities and to transforming the health care system. For more information, please visit www.regence.com.